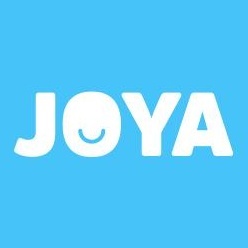 Joya Communications Inc. is a small 100% remote company based in the US. We're working on bringing people closer together through our app, Marco Polo. Marco Polo is a video walkie talkie app that lets people connect in one on one or group conversations . We're a top app in both the Google Play and App Stores. Everyone at Joya wears a few different hats. We find great people dedicated to our company mission and create an environment where they are inspired to do their best work. We're a purpose-driven company. Every day, we ask ourselves how well our work and progress aligns with that mission. Purpose Driven: Staying viscerally connected to the company purpose. Asking on regular basis: How will this <insert feature/idea> help people feel closer? How can we make Marco Polo feel more connecting? Working Joyfully: Creating a joyful environment for others and calling out when a situation doesn’t feel joyful to you. Putting the team First: Understanding that joint effort creates energy beyond collected individuals and doing things for the benefit of the team. High Trust: Building your own high trust and having high trust in others. We have quarterly team retreats that provide a great opportunity to connect with each other in person. While we all work remotely, we're always connecting with each other on Zoom, Slack and Marco Polo!